Outdoor Network launches innovative roadside digital rotating Billboard network. 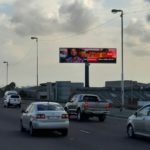 Outdoor Network has launched its latest state-of-the art digital rotating billboard in Durban, and will be rolling out this innovative platform to numerous other sites around the country in the months to come. Ideal for advertisers seeking national coverage, the new digital billboard from Outdoor Network provides brands and advertisers with an exciting new offering designed specifically for impactful creative, which assists in positively influencing brand image while driving improved recall and engagement. The unique design ensures that the billboard is optimised to traffic flow in order to achieve increased impacts and visibility. Its ability to rotate ensures visibility of advertising messaging to motorists and commuters during both morning and afternoon peak hour traffic patterns. According to PQ Media, Digital Out-of-Home (DOOH) is currently the fastest growing segment within the Out-of-Home industry, fueling overall OOH media growth worldwide in 2016. 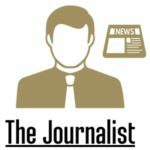 The segment increased an estimated 12.6% to almost $12 billion globally for the full year, the strongest growth since 2011. Digital commanded just over 24% of the total global revenues in OOH in 2016, and within that, Digital Billboards and signs are estimated to have grown at over 13% year-on-year in 2016 to over $3.7 billion globally. Advertisers now have the ability to capitalise on this growth trend through Outdoor Network’s latest product rollout. 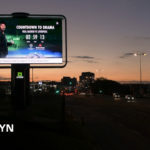 Outdoor Network’s first roadside digital billboard is strategically positioned on Sandile Thusi Road (Argyle Road)in Durban with exposure to over 90,000 consumers per week and over 1,6 million views per month.The billboard will deliver on reach and frequency on a premium digital format for brands looking to communicate with highly sought after consumers within the LSM 7-10 segment. This key high traffic location delivers a large volume of aspiring and affluent consumers daily as they go about their commute to and from work, school and shopping. 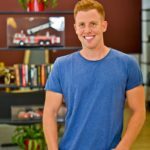 The billboard offers advertisers the ability to expose brand messaging to consumers with true day parting via campaigns tailored specifically to the needs of brands. Now advertisers can engage target audiences when affinity for specific brands, services and products are heightened. For example: breakfast products in the morning, fast-food outlets around lunch and alcohol brands later in the evening. 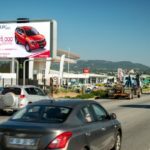 The features and unique innovative design of the 3×6 rotating digital billboard are not restricted to simply exposing advertising, but rather doing so via a highly captivating, modern and premium platform. Outdoor Network’s broader strategy is to provide brands and advertisers with a highly desirable national footprint in key, high demand metropolitan areas such as Cape Town, Johannesburg, Tshwane, eThekwini, Polokwane and Mbombela to name a few. Digital plays a key role in this strategic growth plan and the company intends to invest substantially in its digital inventory, both roadside and highway based, in the coming years. This growth is beneficial to large media agencies and multinational brand advertisers looking for signature locations and national coverage as Outdoor Network will be better equipped to service their requirements effectively. DOOH is ideal for advertisers looking to raise mass awareness and generate incremental reach within a unique environment since it intercepts active consumers with highly targeted messages as they move through their day. Delivering effectively on impact, engagement and recall, digital Out-of-Home campaigns combine lifestyle interest with location targeting to capture the attention of consumers when they are in an acquisitive state of mind. A recent study by Canadian Digital Network Ltd (CDN) found that 62% of motorists noted that they were exposed to an OOH campaign prior to their biggest purchase of the day, and that 78% of all consumers view DOOH as ‘attention grabbing’. Considering that the study also found that 35% of consumers make last minute purchase decisions, the benefits of advertising on DOOH become ever more valid. DOOH is strategically located, vibrant, compelling, flexible and is more engaging than static since eyes tend to focus on moving, colourful and changing displays. With the ability to offer tailored and timely campaigns, brands are better placed to engage existing target markets, whilst at the same time attracting new business. Advertising on DOOH cannot be blocked, skipped or switched off, and since consumers are more likely to notice DOOH, campaigns are more memorable and therefore more likely to positively deliver on advertiser requirements.“Local Municipalities welcome digital signage structures since they reduce clutter and are aesthetically pleasing. Digital is growing globally, and as our network grows, mirroring global trends, we’ll be adding value to both advertisers and municipalities alike,” concludes Dumisani Malembe, Development Director for Outdoor Network. 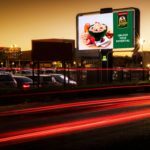 Outdoor Network, a division of PMG, is one of the largest South African Out of Home media owners, offering national reach with a host of billboards and street furniture platforms.